We’re back in business: the Walk-to-School campaign is alive and well. Why? How can this be since so many of our neighborhood children are now in college, high school, or middle school? Well, I still have an eager 5th grader, and we’re gathering more families to walk the one mile to our elementary school. What’s so great about this year is that we are walking even if we don’t have children to walk to school! I’m serious! We’ve invited a homeschooling family, families with toddlers, and families who have children in other schools. It doesn’t matter; we’re walking anyway. Are you within a 30 minute walk to school? If so, you can gather the neighbors, too! If you haven’t started a walk-to-school campaign in your own neighborhood, I recommend it whole-heartedly. It’s changed our lives. We’ve deepened friendships, gained good health, and enjoyed connecting with children on the mile walk to school. It’s an investment. It’s a sacrifice of time. But walk anyway. Fill your thermos with coffee. Meet some new moms and dads. Meet the children in your neighborhood and walk. If you can, I pray you do. Encourage the children. One day, in forty years, they’ll tell their own children about the time they grew up in a neighborhood where the families walked them to school because it was that important. I arrive at the picnic that kicks off our semester of Penn State Christian Grads. I gather with many new Ph.D. students who have more enthusiasm and intelligence than you can imagine. I’m so thankful to live in a world where people devote their lives to understanding and then advancing various fields like autism and communication, applied linguistics, mechanical and environmental engineering, statistics, food science, math education, physiology, nursing, biobehavioral health, and too many other programs to mention. I listen to the way students live in complete fascination and utter curiosity about their disciplines and how, one day, their research can help so many others. I think about the sacrifices they make to do the work they do here at Penn State. I’m inspired again about the joy of learning, of hard work, and of rigorous investigation. It is so exciting to see these new students filled with wonder and worship and the kind of passion that makes an entire university work. I want to love and support graduate students even more. Go love a graduate student! This is the verse that continues to free my heart. I know a God of hope who, by the power of an incredible Spirit fills us to overflowing with hope by an inexplicable power. Can you imagine living a life of joyful and confident expectation of good things? Hope! Oh, hope! I look at my succulents in the windowsill where I wash dishes. I’ve washed so many dishes in states of complete hopelessness in my life. I’ve stood there at the window gazing into an abyss of despair and meaninglessness and darkness. And then–Hope called my name. 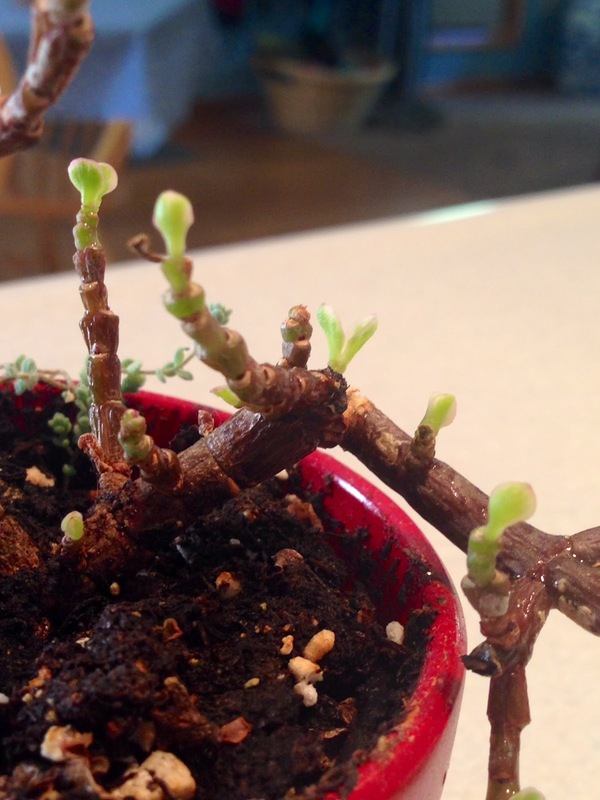 I look at the one plant I almost discarded because it truly looked dead. But then I remember that succulents thrive on neglect; they harbor secret resources I know nothing about. So I’m standing there, thinking about hope, and I see the dead plant sprouting once again. I was thankful to see it. I was thankful for hope. 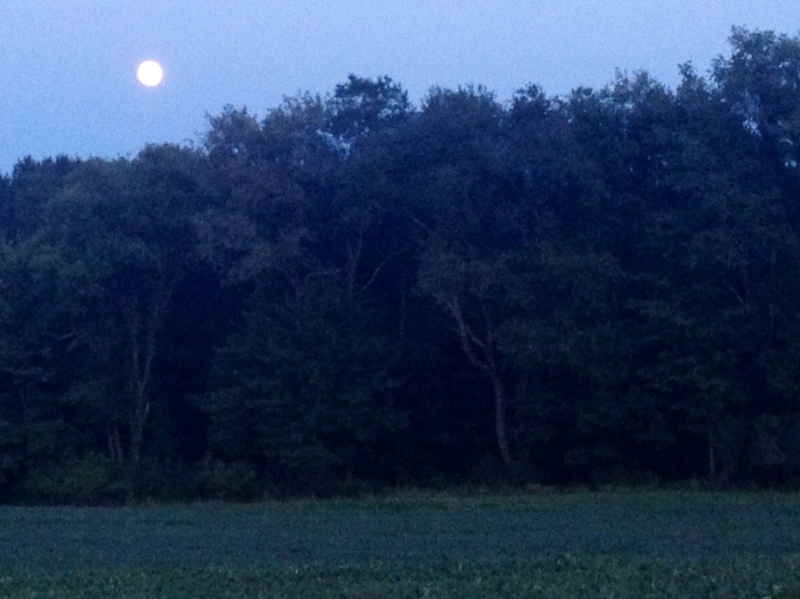 And while we’re on the subject of hope, I’ll tell you this: Last night, I strolled in the park with friends and looked out into the wild forest underneath a perfect moon. I imagined the beauty and mystery within this tangled wood, and I remembered the enchanting beauty of hope. I had some hours of true rest today, and I knew it. How? I knew I was resting because of one adjective: leisurely. I leisurely picked raspberries. I leisurely read. I leisurely walked. No hurry. Relaxed. No pressure. If it’s not leisurely, it’s not restful. I knew the difference as I stood there picking raspberries just because the sun felt warm and they were ripe and bright. As students build professional materials–including resumes, cover letters, and mission statements–we ask good questions to help uncover strengths and talents we might not know we possess. We ask: For what reason do people request your input or service? We share our answers, and we learn how our community perceives us and what we offer. We also ask another question that I find so enlightening: What motivates you to do your best at your job? These two questions help students think deeply about who they are and why they do what they do. I find myself challenged to answer the second question. What does motivate me? Certainly not money (if you know anything about college instructor pay). Certainly not prestige. What then? I think it’s love. I’m motivated to do my best because of love of subject, love of student. That hasn’t changed in all these years. This morning I read the familiar passage in 1 Samuel 17 of the young David’s defeat of Goliath with the stone and the sling. He moved forward in God’s strength as himself–in his shepherd’s outfit and pouch. How silly it must have seemed to both the Israelites and the Philistines! How embarrassing! But David secures a great victory in this authentic moment. When God gives a new assignment, especially an intimidating one, I’m always tempted to copy great people or slowly become a different, artificial leader because of who I think I’m supposed to be. But young David’s victory reminds me again to stand as myself with my own stones in hand. Today a friend reminds me of what powerful things happen when we allow for spontaneity. We discuss this in terms of the early church and the spontaneous growth that came about. This seemed like an out-of-control situation, but really, it was High Control if you think about it. I recall how controlling I am and how I haven’t lately allowed for impulsive or uninhibited behavior. I remember how often the Holy Spirit seems to work in just this way. I wonder what I’m squelching and what I’m stamping out of this kind of power simply because I resist the spontaneous. It’s a busy time of year with back-to-school, teaching assignments, and writing. Add in cleaning, meal planning, clothing shopping (children grow! ), and connecting with neighbors, and it seems like there’s no time to reflect or truly enjoy resting in moments of wonder. I need wonder. I run on wonder. So as I sit at my desk completing the least wonder-inducing activities of all including administrative work, I see the vase of eucalyptus to my left. I love the smell of eucalyptus. I love that once, my mother told me that it would keep spiders away, so for years, I kept eucalyptus by my bedside. Eucalyptus has always been by my side in one way or another. Whenever my husband and I moved to a new home–or even if we had an extended stay somewhere–he always purchased some eucalyptus to make the place just like home. I stop for a few minutes to learn about this strange little plant that’s not little at all. In fact, it’s one of the tallest plants on earth. It drains much water from the soil (good to prevent mosquitos and malaria). So far, I’m not filled with wonder yet, but then I learn how most eucalyptus trees shed their bark once a year. 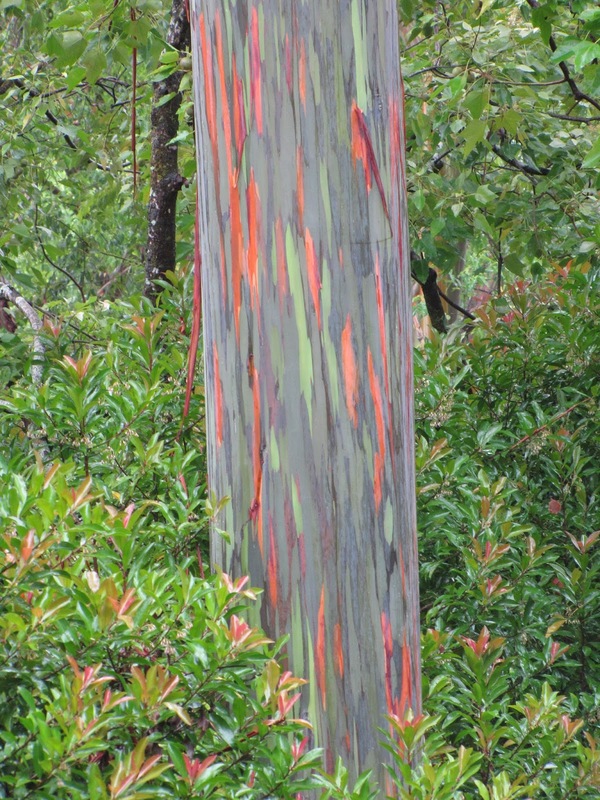 This photo is a Rainbow Eucalyptus that looks like this when the bark sheds. A rainbow inside! Underneath the boring bark is this? I have some wonder now. But then, then, I read how the eucalyptus survives fire that can often occur in the Australian forest. You will not believe this: The plant keeps dormant shoots that only germinate after they’ve been triggered by the heat of the fire. The plant has a hidden inner plan especially designed to spring to life in case of fire. I repeat: The plant has fire insurance. Oh, I want to be like the eucalyptus! Burn me–by insult, injury, disappointment, or loss, and I know how to send out new shoots that wait for this kind of heat. And when I feel stripped bare, it’s only to reveal the rainbow. I love my eucalyptus plant! It does so much more than keep the spiders away! I had time for wonder today after all. There’s nothing to fear in this kind of world where loss showcases beauty and what came to destroy only precipitates new life. All year, I’ve been examining how God guards our lives. The verb, guard, appears all over the Bible. But it presents as protect, watch, keep, to save, and to treasure. It’s all the same verb in the original language. God stands guard over our lives. I ask for more and more faith to see this and to know it’s true. After all these years, I’m still so excited to teach first semester freshmen. There’s this sense of overwhelming possibility, of a fresh start, of crafting an adult life, and of hope. I found my way. Every day, I knew this new me more and more, and I gradually adapted. It was little things that made all the difference: having someone to sit with in the dining hall, seeing a familiar face in a large lecture hall, and having an instructor know my name. So I am already memorizing their names. I’m on the other side now, but I remember exactly what it felt like to walk in that college classroom and hear things that professors said that shaped my adult life. On my bookshelf beside me as I write, I keep my freshmen textbooks right here. My Norton Anthologies have my writing all throughout them in the margins. And I have the journal I kept that freshman year where I know–through poems and letters and quotes and snippets of wisdom–all the angst and wonder and love and fear that make up that freshman year. So when I walk past the groups of them, I remember myself back then. I’m so excited to meet them.